San Carlos is a favorite vacation and retirement location for many Americans and Canadians. Just a short 5 1/2 hour dirve South of Tucson makes this easily accessable and cheap to get to, Of course San Carlos is directly adjacent to Guaymus which has an Internation Airport and has just started receiveing Cruis ships. If you own real estate that you're thinking of selling, I would be happy to provide you with a FREE Home Evaluation. In today's competitive real estate market, timing is everything. Many good homes are sold before they are ever advertised. Beat other homebuyers to the hottest new homes for sale in San Carlos with my New Listings Notification. Whether you are buying or selling a home, hire someone like me, who wants to earn your business. I invite you to contact me as I'd be happy to assist you with this important transaction. In addition, if you have any general questions about buying or selling real estate in San Carlos Sonora, please contact me as I'm more than willing to help. 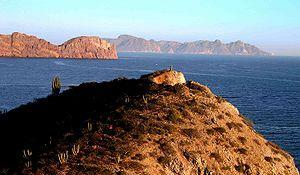 San Carlos is a beachfront subdivision within the port city of Guaymas, in the northern state of Sonora in Mexico. It is noted for the exceptional clarity and warmth of the ocean water in its shallow bays. It lies on the body of water known as the Gulf of California or Sea of Cortez. Given the size of the city, with nearly 7,000 inhabitants, there is a remarkable number of RV parks, resorts and stores. There is also a very large and active diving community. There are also many Americans and Canadians that live in San Carlos during the Winter as the Summer months are very hot. There are many opportunities to fish, dive, and relax on the beach. San Carlos is a roughly 6 hour drive from the United States along Mexican interstate Highway 15. The trip from the United States requires that foreigners obtain a tourist visa, but they are no longer required to get a car permit if they are traveling by private automobile. This is only required if they travel south of Guaymas. The area where these car permits are obtained is referred to as "El 21" as it is 21 kilometers from the border or at the border itself. Also, some of the highways in Mexico are actually tollways, and cars are required to stop at checkpoints roughly every 150 kilometers to pay a nominal fee. Non-toll roads are also prone to have unexpected speed bumps ("topes"). View of San Carlos Bay, Sonora Mexico. The community of San Carlos was founded on lands that previously integrated a large cattle ranch known as the Baviso de Navarro. This was later subdivided in four great estates known as Ranch Los Algodones, Ranch San Carlos, Ranch El Baviso and Ranch El Represo. In the mid 1950s, Mr. Rafael T. Caballero acquired the ranches Los Algodones, San Carlos and El Baviso, contracting the services of City planners who designed the first stages of a gradual and carefully planned tourist development that in time would become one of the first and most important tourist and recreational communities in the State. When the private investors began the initial works for this development, in support of this vision, the State Congress of Sonora during the governorship of Lic. Luis Encinas Johnson issued a declaration establishing the official incorporation of the Township of San Carlos, Nuevo Guaymas, Municipality of Guaymas, Sonora, Mexico, through a Decree published in the State Official Bulletin Government no. 26, on the 28 of September,1963, with an endowment of 27.746 square kilometres of privately owned lands located in the Southern portion of the estate Ranch El Baviso. To complement the Township Land Endowment, the State Congress, during the office of Governor Faustino Felix Serna, increased the Legal Land Fund by adding the estates known as Ranch San Carlos and Ranch Los Algodones, both with a surface of 22.04 km², as published in the Official State Bulletin no. 23, on the 21 of March, 1973. A total of 49.79 km² of privately owned lands constitute the territorial reserves of this development. On July 1, 1976, The Agrarian reform Secretariat, through the Director of Legal Affaires, declared by means of official notification no. 240-438155, Reference XV; that the mentioned privately owned lands located in the remaining lands of the estates El Baviso and San Carlos, have no agrarian legal claims upon them, and consequently the proprietors are free to lien, to encumber, to contribute to societies, to merge, to cede on trusteeship and to freely dispose of these lands. In that same official notice it is recognized that the proprietors of these four estates, voluntarily ceded to the Federal Government part of their lands for the creation of the new center of population and for the formation of the Ejido 13 of July, affecting the Northern and the western portions of the estates San Carlos, El Baviso, Los Algodones and El Represo. The above in accordance to the Presidential Resolution of July 15, 1968, was published in the Official Gazette of the Federation on the 27 of August 1968. In support of the objectives set forth by the private investors for the development of a new tourist destination, the Agrarian Reform Secretariat, the Secretary of Human Settlements and Public Works, and the Secretary of Tourism, altogether issued a Declaration of High-priority Tourist Zoning, for all the effects of law; in favor of the estates El Baviso, San Carlos and Los Algodones, owned by Grupo Caballero. The cited declaration was published in the Official Gazette of the Federation No. 34 on the 15 of August, 1980. By 1963 a "Master Plan" was in place and the infrastructure development underway.